Doug signed from Butterburn Youth Club. He spent three seasons at United but rarely made it out of the reserve side. After short time on loan at Forfar Athletic he was released in May 1966, joining East Fife. Doug was born on this date in . 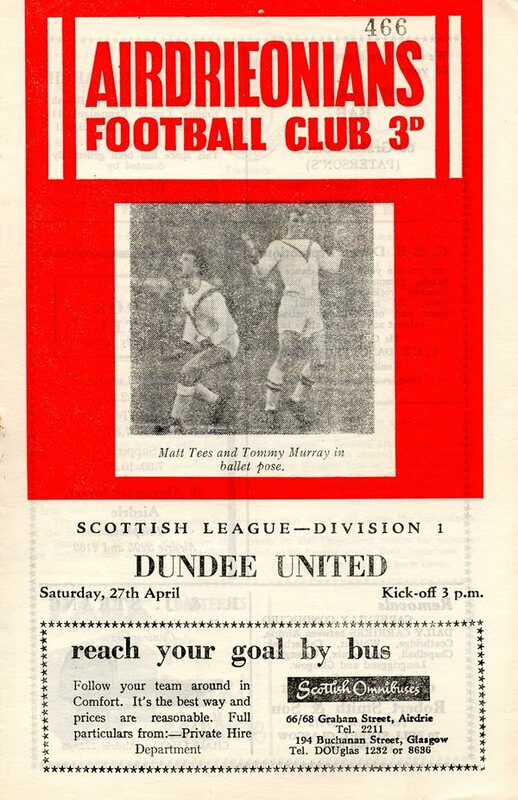 United secured their first victory of the season against the now defunct Glasgow club who, like the Tannadice men, were languishing near the foot of the First Division table. Lewis Thom put United ahead after 18 minutes and nine minutes later it was 2-0 following a twice-taken penalty award. Thom saw his spot-kick saved by Mitchell but the kick had to be retaken and Jimmy Briggs stepped up to hammer it home. United lost Sandy Davie through injury in 33 minutes after a clash with Doug Baillie and Jimmy Briggs took over between the posts. Thirds pulled one back just after the break through Baillie and it was left to Doug Soutar and Stewart Fraser to supply the late goals which earned United the points.